We are excited to let you use our Welcome Home Trailer for your moving or project needs. 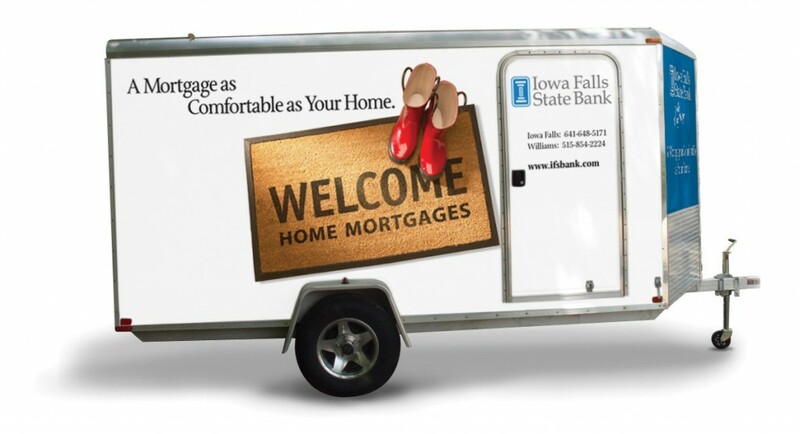 The Welcome Home Mortgage Trailer is primarily available to mortgage customers moving into a home financed by Iowa Falls State Bank. Secondarily, it is available as a convenience to customers with an approved task that can be accomplished within 60 miles of Iowa Falls State Bank. Exceptions may be made with an officer’s approval.